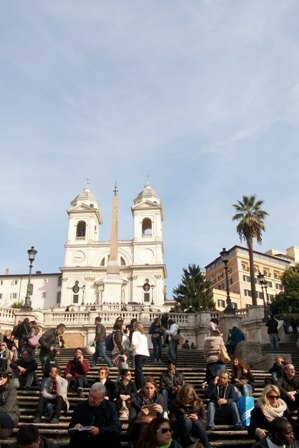 Very few people manage to visit Rome without falling in love with it, and many who come just for a few weeks end up staying for the rest of their lives. There seems to be something magical in the air. 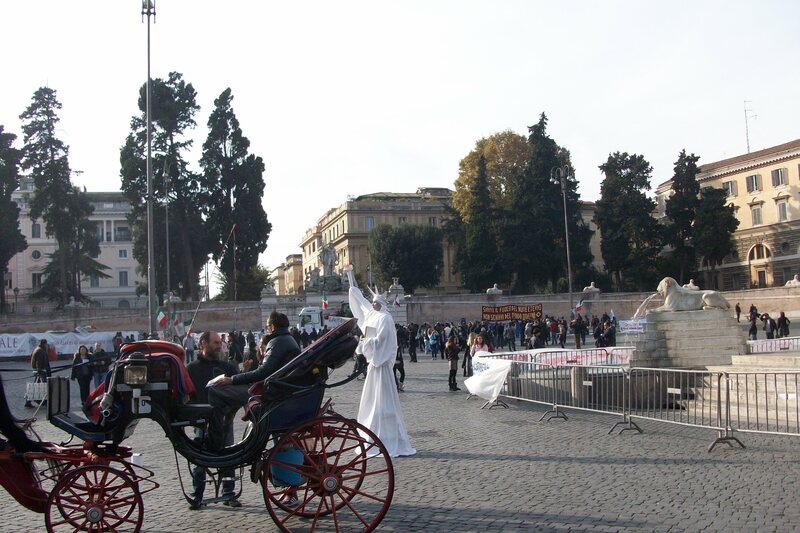 Rome is also very chaotic – no use denying that. The traffic is a free for all, cars park all over the sidewalks and the average Roman is as undisciplined as he is creative in his driving. But then, what can you expect of a city with a population of four million built on a series of hills along a meandering river, centuries before the invention of the automobile. If you can come to terms with the confusion it can be the most beautiful city in the world, a treasure chest of artistic and architectural jewels built by popes, kings and emperors over a period of thousands of years. The last thing any of these people worried about was practicality. They wanted a spectacular city that would glorify God, the empire, the regime and often just themselves. Everybody knows about the famous sights of Rome -the Colosseum, St. Peter’s , the Vatican museums and Castle St. Angelo. There are also hundreds of churches and palaces that are worth seeing. One excellent way of seeing -and photographing- the city is from the river Tiber so take a walk along the river or pause on one of the many bridges. One of the most photographed views is that of St. Peter’s from the Bridge of the Angels in front of Castle St. Angelo. Take a look inside the castle itself, which houses a beautiful collection of armor. Shoppers will enjoy wandering through the small side streets of Trastevere and the area near Piazza Navona to see craftsmen and jewelers at work. The Monti neighborhood is also a delight with its dozens of small shops and trattorie. Rome is a city built on hills and from the tops of several there are fantastic views. For an aperitivo with a view , try the Zodiaco bar at the top of Monte Mario or the terrace bar at Capitoline Museums. See the Vatican museums stopping for lunch at the inexpensive modern cafeteria. The museums are free on the last Sunday of each month and the lines are long. Bring your student card for student discounts. The Changing of the guard at the Palazzo del Quirinale, the president’s official residence, takes place at 4 p.m. every day. 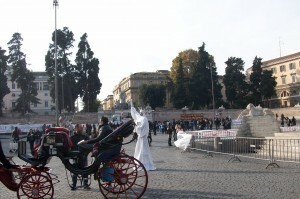 On Sundays it is even more spectacular with band music and the tall Corazziere guards on horseback. The Palace can also be visited on Thursday afternoons. The perfectly round Pantheon, Rome’s famous temple-church with a hole in the dome, may give you a surprise if you are there when a musician is playing the organ, for the acoustics are perfect. If it’s a day of light, intermittent rain you be lucky enough to see the rainbows which form inside the building. Free concerts are held, especially in summer, in numerous churches and courtyards. Be sure to visit the Trevi fountain. Tradition holds that if you throw a coin into the fountain you will return to Rome someday, and there’s hardly a tourist who has not tossed a coin into this fountain. Some of the courtyards you’ll want to see are at the Palazzo Taverna on via di Monte Giordano, Palazzo Spada and Palazzo Mattei. Rome is full of gardens and parks of all sizes, but there are three that are particularly impressive. 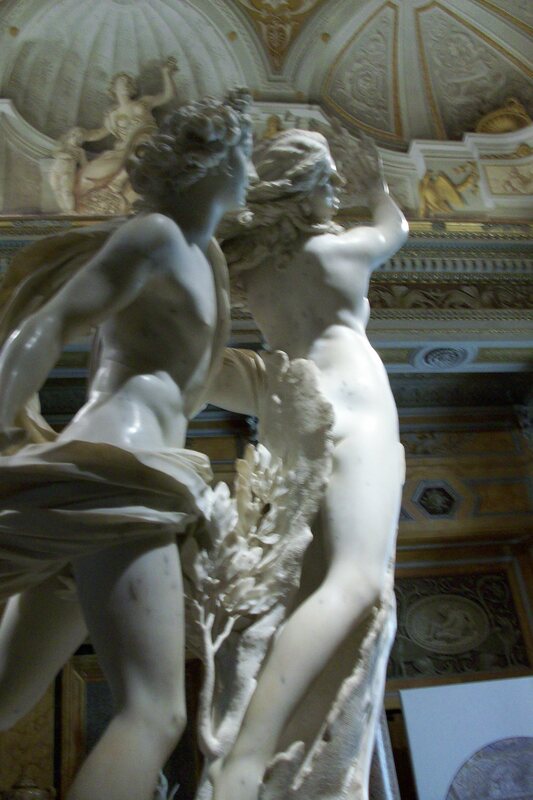 The best known and most central is Villa Borghese with its magical museum of ancient statuary and paintings. Villa Borghese is carefully laid out, full of fountains and paths, while Villa Pamphili and Villa Ada are much wilder and much closer to open countryside. All three are excellent places to go jogging or take a bike ride. All Rome’s parks should be avoided after dark, especially if you are alone.